Much speculation and conjecture has been spoken of Marijuana (cannabis) and the Holy Bible. This topic has covered “every herb bearing seed” in Genesis, the “holy anointing oil” used in the Holy Temple, to modern speculation that Yeshua used cannabis to heal and that He and His disciples were stoners. In the Garden of Eden, God blessed Adam and Eve and told them, “Behold, I have given you every herb bearing seed, which is upon the face of all the earth, and every tree, in the which is the fruit of a tree yielding seed; to you it shall be for meat” (Genesis 1:29 KJV). Cannabis is certainly an herb that indeed bears seed. 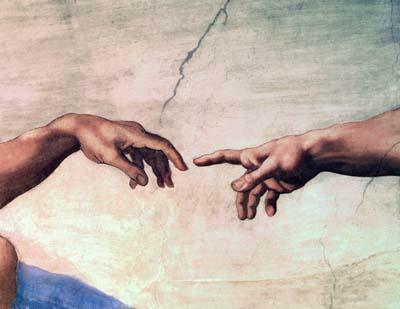 The Hebrew word used for “meat” in Genesis 1:29 is “oklah” (אָכְלָה), which translates into English as “food” (http://www.blueletterbible.org/lang/lexicon/lexicon.cfm?strongs=H402). The holy anointing oil to be used in the Holy Temple contained pure myrrh, sweet cinnamon, sweet calamus (an aromatic reed), cassia (another variety of cinnamon) and olive oil. Those who advocate marijuana was used in the holy anointing oil are struggling with the translation of the word for sweet calamus. The Hebrew word for “calamus” is “qaneh” (קָנֶה), which translates into English as “calamus” (http://www.blueletterbible.org/lang/lexicon/lexicon.cfm?Strongs=H7070&t=KJV). The Hebrew word for cannabis is “kineboisin” (חשיש). Moreover the LORD spake unto Moses, saying, Take thou also unto thee principal spices, of pure myrrh five hundred shekels, and of sweet cinnamon half so much, even two hundred and fifty shekels, and of sweet calamus two hundred and fifty shekels, And of cassia five hundred shekels, after the shekel of the sanctuary, and of oil olive an hin: And thou shalt make it an oil of holy ointment, an ointment compound after the art of the apothecary: it shall be an holy anointing oil. And thou shalt anoint the tabernacle of the congregation therewith, and the ark of the testimony, And the table and all his vessels, and the candlestick and his vessels, and the altar of incense, And the altar of burnt offering with all his vessels, and the laver and his foot. And thou shalt sanctify them, that they may be most holy: whatsoever toucheth them shall be holy. And thou shalt anoint Aaron and his sons, and consecrate them, that they may minister unto me in the priest’s office. And thou shalt speak unto the children of Israel, saying, This shall be an holy anointing oil unto me throughout your generations. Upon man’s flesh shall it not be poured, neither shall ye make any other like it, after the composition of it: it is holy, and it shall be holy unto you. Whosoever compoundeth any like it, or whosoever putteth any of it upon a stranger, shall even be cut off from his people. Those who advocate that the holy anointing oil contained cannabis vehemently claim that cannabis was intentionally mistranslated as calamus in order to conceal the fact that God approved of drugs. This claim is invalid, as cannabis was an important plant for medicine and textiles when the Scriptures were translated into English. 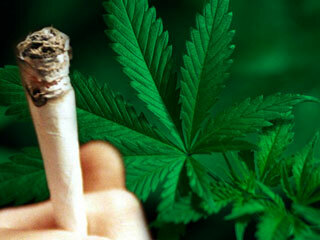 Cannabis was legal until the Marijuana Tax Act of 1937 effectively criminalized the plant as a drug. Even if there had been a conspiracy to intentionally translate cannabis to calamus, it still would not advance the cause of marijuana advocates as an ingredient of the holy anointing oil or make any difference in any speculation. The holy anointing oil was used to anoint the tent of meeting, the ark of the testimony, the table and all its utensils, the lampstand and its utensils, the altar of incense, the altar of burnt offering with all its utensils, and the basin and its stand. The only people who would have been anointed with the oil would have been Aaron and his sons (the priests). So even if the holy anointing oil did contain cannabis (which I do not believe it did), there weren’t a bunch of Hebrews using drugs while camping in the desert. Then God placed further restrictions on the holy anointing oil when He said, “And thou shalt speak unto the children of Israel, saying, This shall be an holy anointing oil unto me throughout your generations. Upon man’s flesh shall it not be poured, neither shall ye make any other like it, after the composition of it: it is holy, and it shall be holy unto you. Whosoever compoundeth any like it, or whosoever putteth any of it upon a stranger, shall even be cut off from his people” (Exodus 30:31-33 KJV). To suggest that Yeshua used cannabis to heal is blasphemy. Yeshua was the only begotten Son of God. He did not require any drugs, medications or chemical compounds to heal the sick or raise the dead. If Yeshua had been anointing the sick with this holy anointing oil and thereby possibly using cannabis to heal, He would have violated the Torah and then would not be righteous and without sin. Therefore, His crucifixion could not have been an atonement and propitiation for our sins. Marijuana and other drugs do have legitimate medical uses. The Holy Bible does not restrict us from using it or other drugs for these purposes (Genesis 1:29). There are legal considerations to consider before we can determine if using a particular drug for medical purposes is sinful or not.. The Apostle Paul wrote, “Let every soul be subject unto the higher powers. For there is no power but of God: the powers that be are ordained of God. Whosoever therefore resisteth the power, resisteth the ordinance of God: and they that resist shall receive to themselves damnation” (Romans 13:1-2 KJV). The Apostle Peter wrote, “Submit yourselves to every ordinance of man for the Lord’s sake: whether it be to the king, as supreme; Or unto governors, as unto them that are sent by him for the punishment of evildoers, and for the praise of them that do well. For so is the will of God, that with well doing ye may put to silence the ignorance of foolish men: As free, and not using your liberty for a cloke of maliciousness, but as the servants of God” (1 Peter 2:13-16 KJV). What about the “recreational use” of drugs, whether they are legal or not? King Solomon said, “Who hath woe? who hath sorrow? who hath contentions? who hath babbling? who hath wounds without cause? who hath redness of eyes? They that tarry long at the wine; they that go to seek mixed wine. Look not thou upon the wine when it is red, when it giveth his colour in the cup, when it moveth itself aright. At the last it biteth like a serpent, and stingeth like an adder. Thine eyes shall behold strange women, and thine heart shall utter perverse things; Wine is a mocker, strong drink is raging: and whosoever is deceived thereby is not wise” (Proverbs 23:29-33; Proverbs 20:1 KJV). The Apostle Paul said, “Let us walk honestly, as in the day; not in rioting and drunkenness, not in chambering and wantonness, not in strife and envying; Now the works of the flesh are manifest, which are these; Adultery, fornication, uncleanness, lasciviousness, Idolatry, witchcraft, hatred, variance, emulations, wrath, strife, seditions, heresies, Envyings, murders, drunkenness, revellings, and such like: of the which I tell you before, as I have also told you in time past, that they which do such things shall not inherit the kingdom of God” (Romans 13:13; Galatians 5:19-21 KJV). For anyone who can’t get past the fact that Yeshua did not use cannabis (“weed”) to heal the sick and raise the dead, I must admit that He did speak of weed at least once in the Scriptures. Yeshua said, “The kingdom of heaven is likened unto a man which sowed good seed in his field: But while men slept, his enemy came and sowed tares [weeds] among the wheat, and went his way. But when the blade was sprung up, and brought forth fruit, then appeared the tares [weeds] also. So the servants of the householder came and said unto him, Sir, didst not thou sow good seed in thy field? from whence then hath it tares [weeds]? He said unto them, An enemy hath done this. The servants said unto him, Wilt thou then that we go and gather them up? But he said, Nay; lest while ye gather up the tares [weeds], ye root up also the wheat with them. Let both grow together until the harvest: and in the time of harvest I will say to the reapers, Gather ye together first the tares [weeds], and bind them in bundles to burn them: but gather the wheat into my barn” (Matthew 13:24-30 KJV). 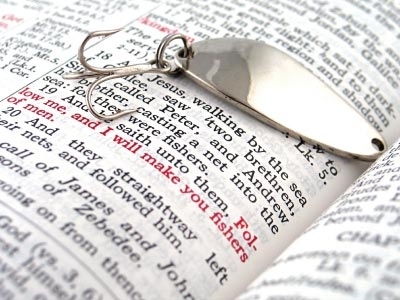 The Apostle Peter also warned us about “twisting the scriptures” when he wrote, “Wherefore, beloved, seeing that ye look for such things, be diligent that ye may be found of him in peace, without spot, and blameless. And account that the longsuffering of our Lord is salvation; even as our beloved brother Paul also according to the wisdom given unto him hath written unto you; As also in all his epistles, speaking in them of these things; in which are some things hard to be understood, which they that are unlearned and unstable wrest [twist], as they do also the other scriptures, unto their own destruction” (2 Peter 3:14-16 KJV). Chassidic discourse teaches that the Spirit of Messiah is more exalted than that of Moses. Whereas Moses is depicted being drawn out from the water and dividing the sea, walking through the water, Messiah is depicted above the water. 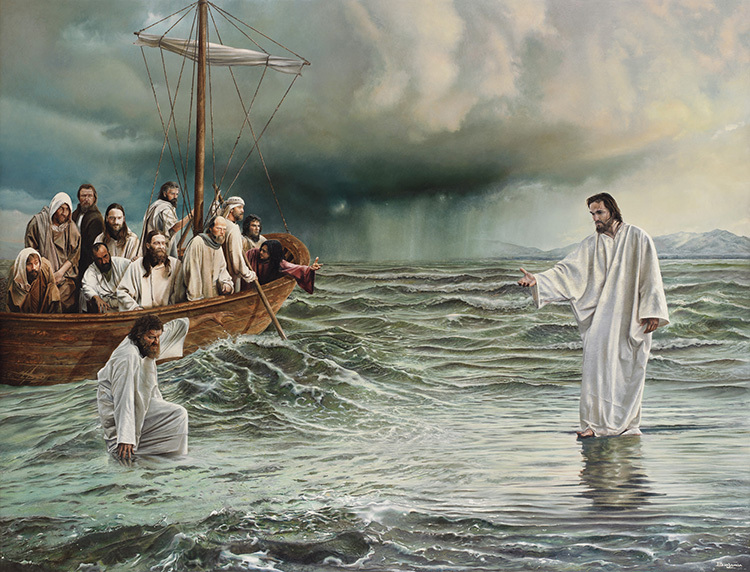 In the beginning of Genesis it says, “and the spirit of God was hovering over the face of the water.” The Sages teach, “This is the Spirit of Messiah.” In the gospels, Messiah walks over the surface of the water.